2nd year baby, bring it on! No, no, instead, I am going to keep this a little short and totally non-original and discuss the resolutions this new year has brought upon you. While I reckon we can have resolutions any second of any day of any time of the year, I suppose the whole fireworks shebang and genuinely fabulous feeling of finishing another year makes this time a bit more special. I mean, am I the only one that gets a little sentimental? Personally, I don’t overwhelm myself with a Santa’s sack worth of resolutions. I try to keep them concise, short, easy to remember so that when the devil,.sitting on my left shoulder, urges me to go against them, I am not hampered down by trying to remember sophisticated phrases. This is also why I don’t try to live by famous quotes from various novels. Wordsmiths, please just stop. No one talks like that in real life. Anyways… this is good actually because my first resolution was to stop being tangential. You think I do this whole go-off-on-another-path only on my blog? Nope, no, HAHA, funny, no. I’ll be talking about (for example) a dish my mum made with a friend… as I am describing the dish I might say ‘The capsicum was really spicy in it’ and then from there, I would be expected to launch into a Ross-style explanation of how capsicums are also called peppers and how some people don’t know they are even called capsicums. Meanwhile, (as I am the talker), the talkee will probably be wishing for a sleeping draught for myself. Yes, I am marathoning Merlin these days so forgive the occasional Arthurian language that slips into my writing. Another resolution for me is to stop thinking about food. I know, I know, this goes against the food blogger handbook or something, but I feel like so many times, my head is revolving around the delicious taste of chocolate and caramel, or what it would feel like if I ordered a pizza on impulse. My current style just leads to looking at love handles and wondering why I am harbouring thoughts of calories in the first place! No more though – just look at food, decide I am eating this (or not… though it is rare 😛 ) and go for it! So yes, for now, those are my three resolutions. I don’t think they are going to be too hard (though I may be eating up my words soon!) – SEE, THERE I GO AGAIN, ASSOCIATING FOOD IN EVERYTHING! Enjoy mes cheris and welcome 2015 with a bang! 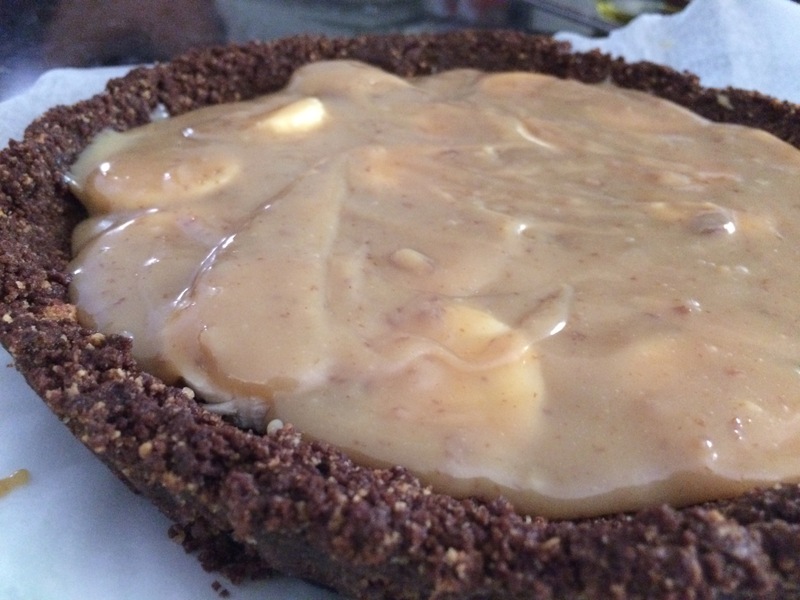 A mix of at least 10 recipes I found while searching up banoffee pies, with my own cookie tart crust. 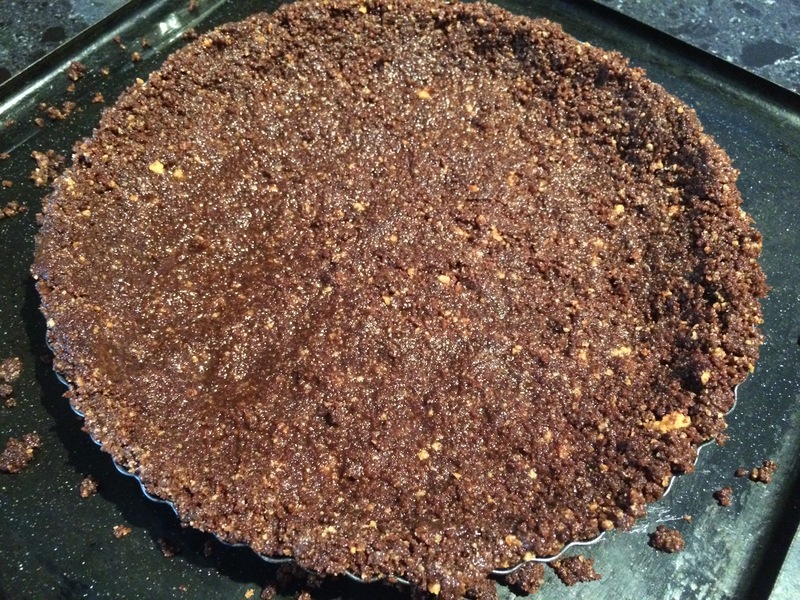 Get a 20cm diameter tart tin with a loose base and press the crumbly cookie mixture into it, filling out the shape. Make sure to press down the back of a spoon, and use damp hands to aid the process of putting it up the sides. Remove from the oven and let sit to room temperature. 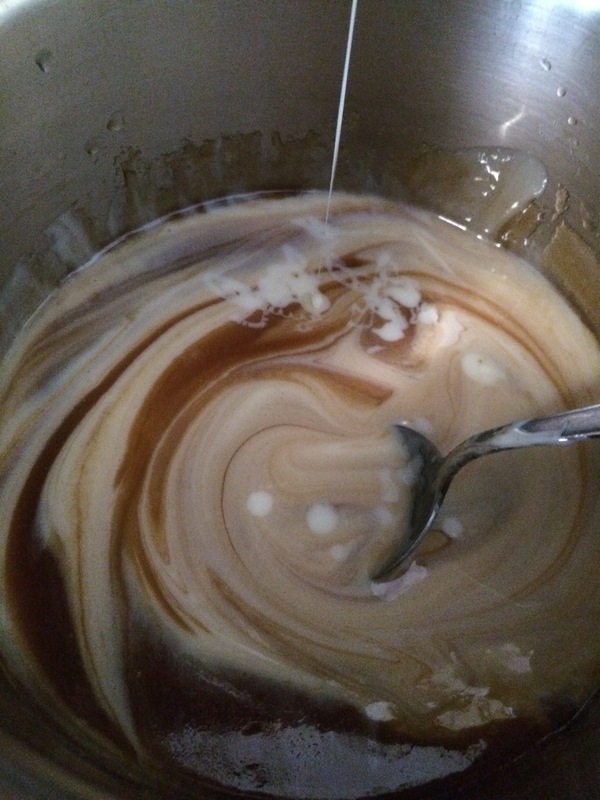 Start making the toffee by placing melting the butter and brown sugar over medium-low heat till smooth. Add in the sweetened condensed milk and bring to boiling point, before removing from heat. Make sure the mixture is thick and golden. Let cool for 1/2 hour to 45 minutes, or till not hot to touch. Place a layer of bananas on top, making sure there are not banana pieces one on top of the other. Pour a generous helping of the sauce on top, making sure to cover the bananas. Place into the fridge to chill for 2-3 hours. Meanwhile make the whipped cream by whipping the thickened cream with the vanilla essence and icing mixture till it holds its peak. Meanwhile make the dark chocolate shards: Melt the chocolate in 20 second bursts in the microwave and pour onto a piece of baking paper. Spread using a flat spatula, leaving a thin coating of chocolate. Place in the fridge (if it is wonky, no worries) and remove from the fridge after an hour. Break into pieces to use. OMG that cake looks stunning….are you a professional baker for real?! I don’t know about that resolution, ‘stop thinking about food’, you know how much we LOVE FOOD!!! You are very welcome. It makes my day to reblog a wonderful post like yours! happy belated new year :D! 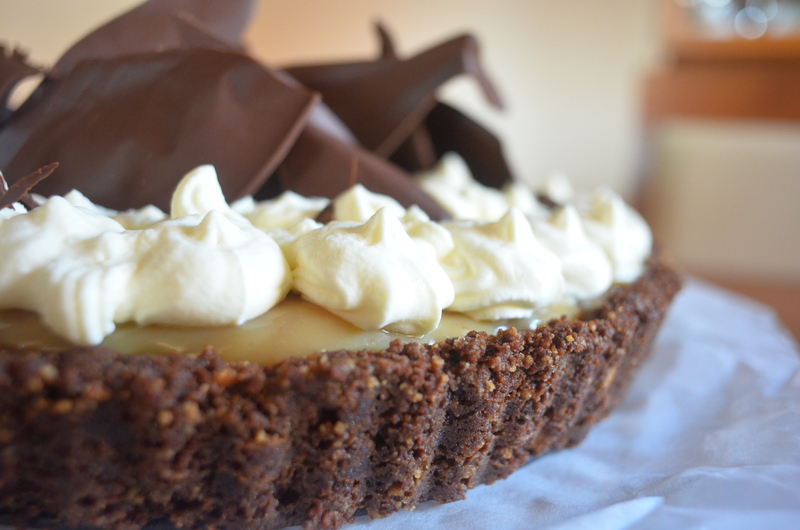 drooling at your chocolate banoffee tart right now! If I said I would stop thinking about food my nose would probably grow by at least six inches. 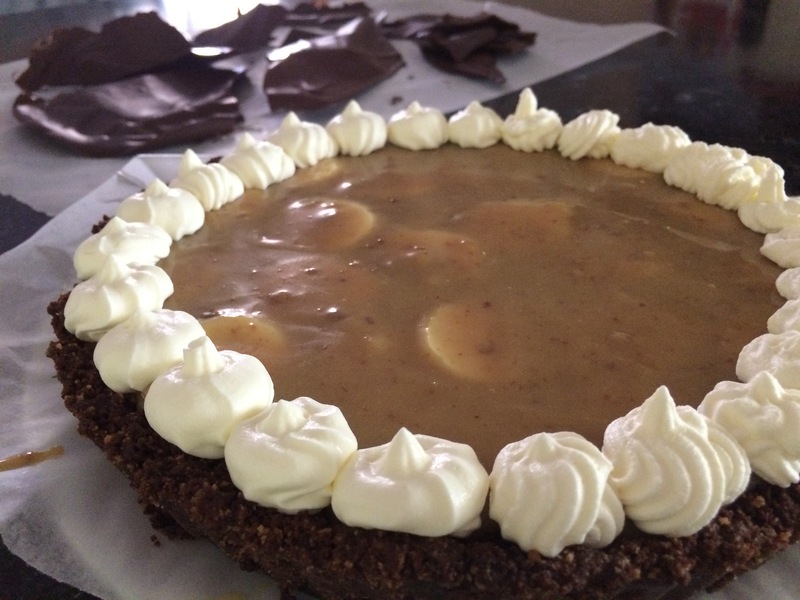 No resolutions for me except making this pie! I’m looking forward to your delicious creations you will share this year! And you started off right with the impressive tart! I love the chocolate decorations on top. So PRO!!!! Happy New Year Uru! Perfect way to start the new year! Yum!! Happy New Year and what a decadent treat!! Happy New Year to you! What a tart to celebrate, sounds brilliant. This year, I want to get into the habit of carrying my camera around with me for impromptu food photos, instead of always relying on my phone for photos that are terrible quality! I think I’m not ready I want holidays forever! Happy New Year! 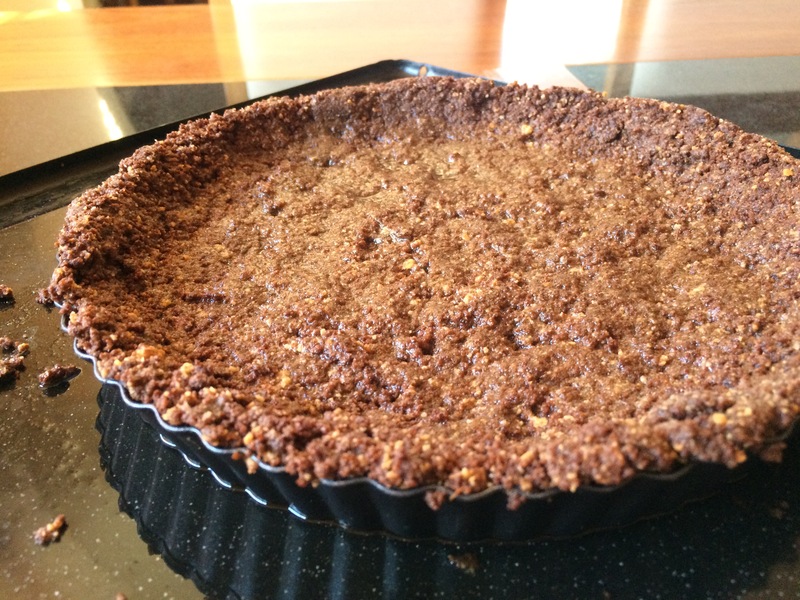 Great way to start if off – with this tart!! I wish I had found this recipe yesterday. Had the perfect bananas for this. It really looks so, so good. CCU, your pastries get more impressive with each post! Happy 2015! With a beautiful desert like that one, I’d want to slow time down to a crawl. Happy New Year to you & good luck in the upcoming school year. Happy New Year to you too!What better way to celebrate than with this decadent dessert! !Need a bite right now!! 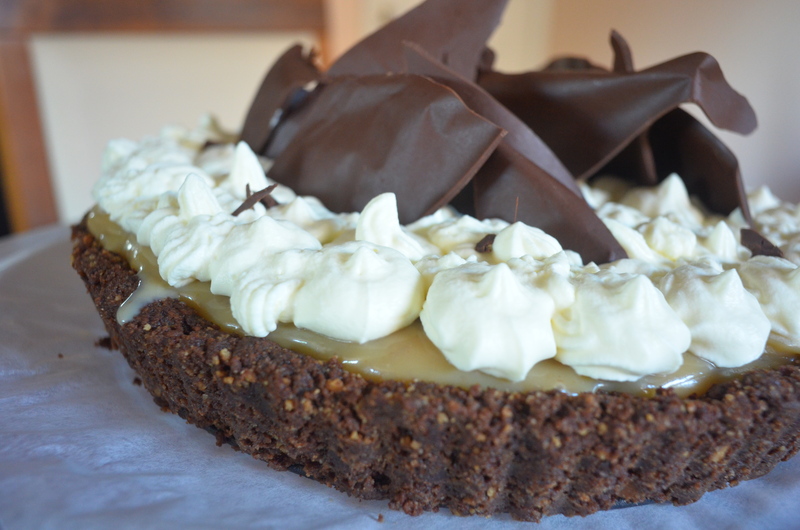 Hi Uru, this tart is a fantastic way to celebrate the beginning of the New Year!!! love the chocolate shards. Congrats on starting your second year! Happy new year! What an amazing tart to start the new year! Sounds like a worthy set of resolutions. I’m with you on banana in most desserts, but once in a while it’s a nice change. Your tart looks gorgeous! Happy new year! This pie has all my favorites, and it’s so pretty! I almost wouldn’t want to eat it. Almost. Also, HOW AWESOME IS MERLIN???? I love that show. LOVE. What not to love? All my favorite ingredients are used in this fabulous dessert. Happy and Healthy 2015.. Happy New Year, my dear! Wishing you all the best this year, and if you keep posting desserts like this, we’ll all be good!! 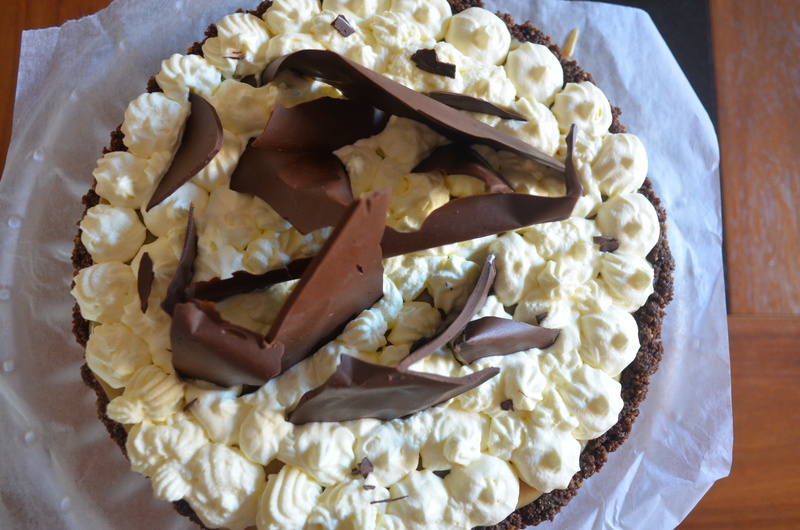 those shards of chocolate are a magical touch! Banoffee is awesome! Have never tried it with chocolate! Yum! This tart might be the perfect way to bring in the New Year. My mouth is seriously watering at this post! That looks sinfully good, Uru!! Happy New Year CCU!!! 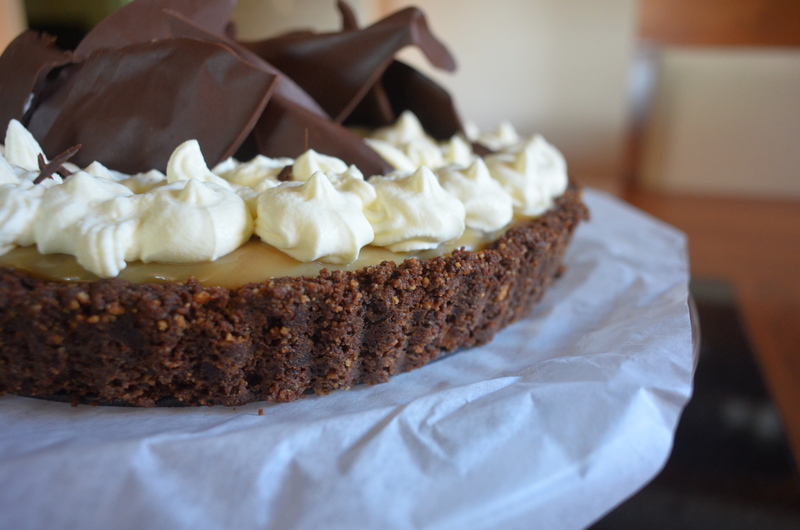 Your chocolate banoffee tart has me tantalized and I can’t seem to stop staring at your photos… Loving all of the components. 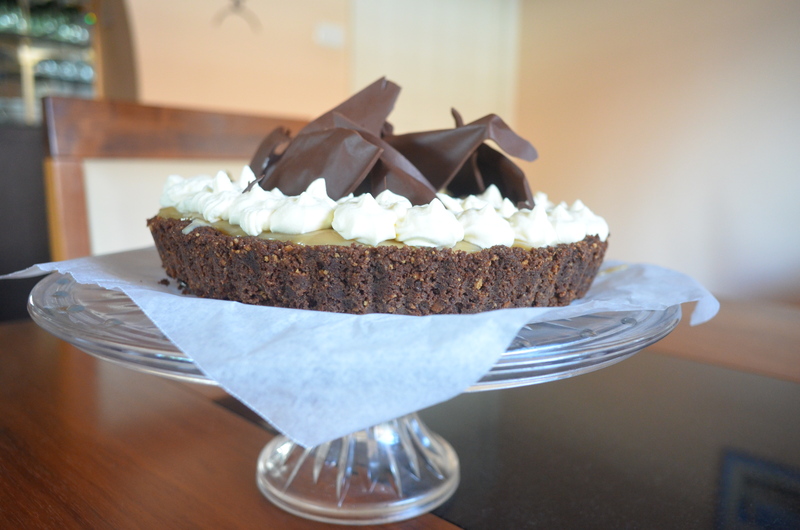 That tart … My oh my! Wow Uru, you’ve outdone yourself! This looks sensational! 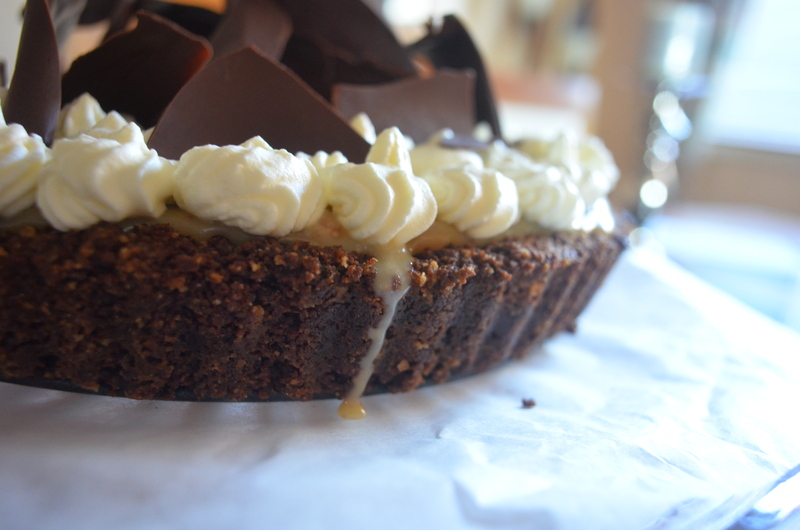 I want to eat the banoffee tart right off the page!! 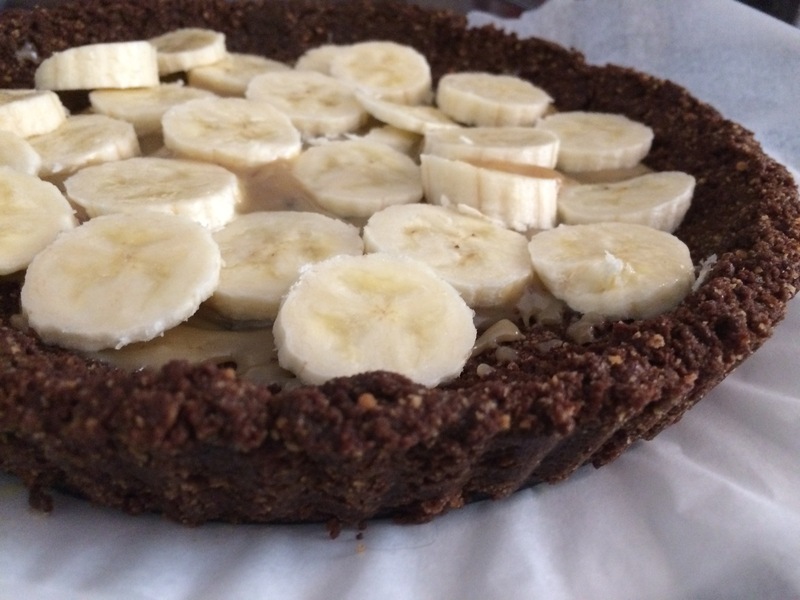 I agree that the choc and bananas married well and sure I see the outcome – the attractive tart oozing with with sweet taste. Happy new year to you and everyone at home. Happy New Year Uru! I have to say that those resolutions don’t seem worth keeping. I mean stop thinking about food? How can you contemplate that? 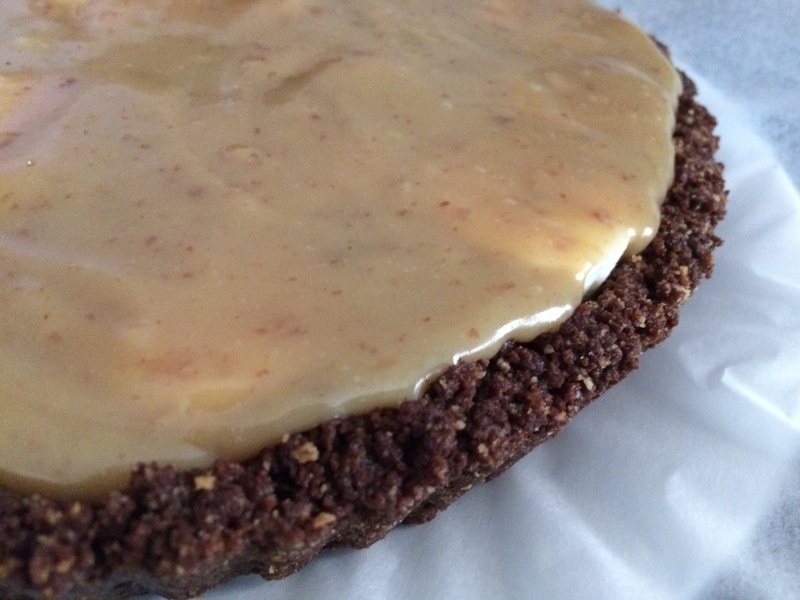 😛 How about making this bannoffee tart instead? hahahahaha giiirl, of all the bloggers I know, you do tangential best! 😀 seriously though, you’re going to rock this year. 2015 is going to be so much fun together, especially since it’ll be our first full calendar year as pals 8) here’s to lots of productive oohing and aaaaaahing! How wonderful and beautiful! Wishing you an amazing 2015! Thank you for your support and encouragement. Best wishes for continued success in the coming year. Happy New Year, Uru! Don’t you dare change a thing about your blog 😉 I tend not to make resolutions–figure anytime is the best time to change something. Though the love handles aren’t going away with that plan, haha. Am with you on always thinking about food–everything seems to revolve around it always. What to do? Good luck on your end 😀 And thanks for putting your enthusiasm out there. happy new year! here’s to an even more delicious 2015! Hi Uri! These tarts look absolutely fabulous…I would really love having one tonight with my tea! I love everything about those beauties! Wishing you a fantastic New Year!! 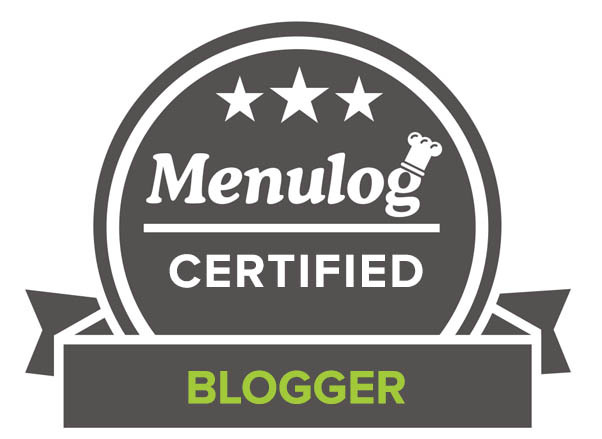 I love the tangential nature of your blog—I feel like I’m there talking with you! Now on to the lovely, tempting dessert— you knew those chocolate shards would reel me right in, didn’t you? Yum! 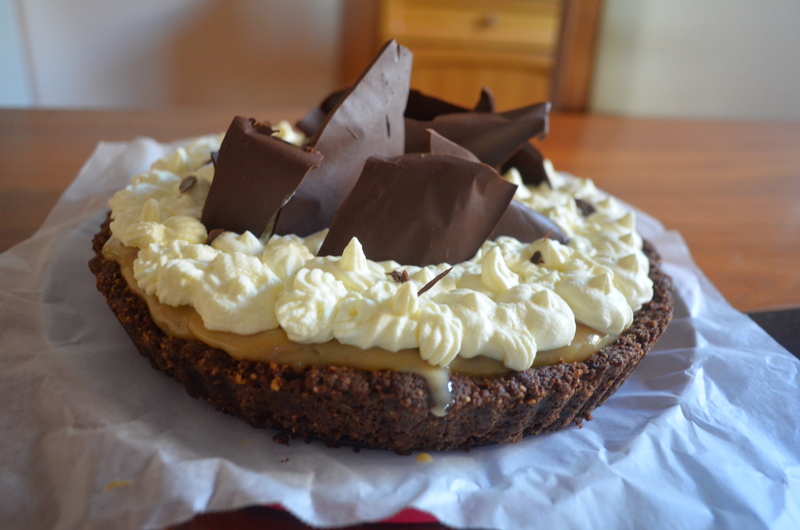 Yummo, I love banoffee pie. I make no New Year’s resolutions – that way, I don’t disappoint myself. A resolution to stop thinking about food? That’s nuts! You really know how to kick a year off don’t you? 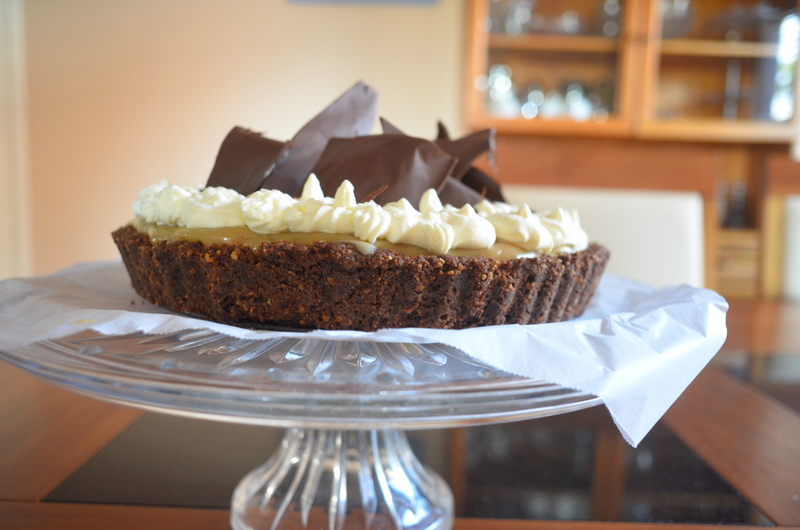 You have me swooning with this tart! Happy 2015! Oh my word, this looks GOOD!!!! Happy New Year, dear! argh what a ridiculously amazing looking tart!!! can’t believe you plan on blogging twice a week on that busy schedule 😉 have fun with that 😛 HAPPY NEW YEAR!!!! That looks naughty but nice! Uru, I would have cravings, too, (most people! ), if I ate sugar and white flour as often as what you do. Do realize if ever it becomes a problem (weight wise, insulin resistance), there is a way out of cravings like that and inevitable weight gain….low-carbing! It would be amazing if that is what you are called to do in the future…help for vegetarian/vegan low-carbers! That is a niche that has not been properly filled in the world. Blessings to you for university this year and also God bless you and your family in every way. What a delicious-looking tart! Wishing I could have a piece for breakfast. Happy New Year, and good luck with your resolutions! HAPPY NEW YEAR!!! 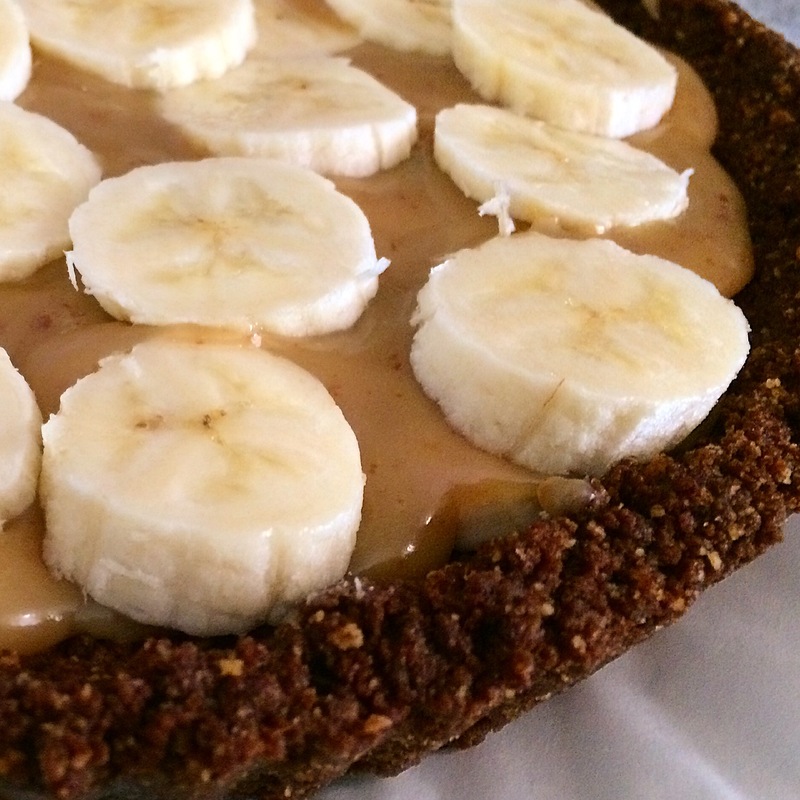 This tart is insanely delicious and the best way to start off 2015! Happy New Year and good luck with your resolutions. You have set yourself a big task….not thinking about food . Oh no. Yum! The tart looks divine. I love cookie crusts :). Your resolutions made me smile. Stop thinking about food — good luck with that one :D. We don’t want you to do that at all. Please reconsider . . .
All best wishes for 2015. Always fun to read about your adventures. I’m sure with your dessert talent it would look just as delicious if not more :D! My mouth filled with saliva just looking at these photos – even more so than your usual photos for some reason ! It looks amazing ! Congratulations on the end of another stellar year of food and studies and happy new year to you !! Here’s to a brilliant 2015 ! Happy New Year, Uru! Have the best one yet! Good luck with those resolutions Uru. I look forward to seeing you post more often! This tart looks soooooo delicious! 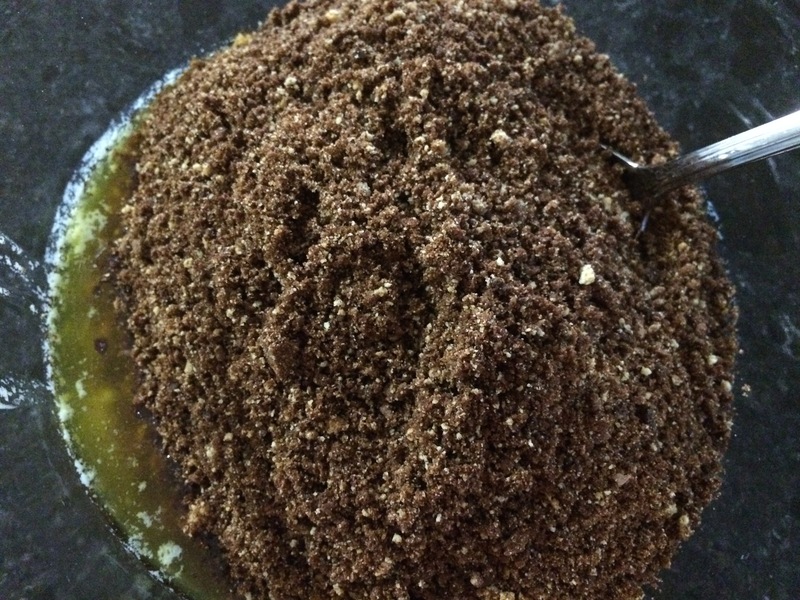 Bannofee yumminess… Love it! Happy 2015! What a way to start the new year, Uru! That looks so yum!! 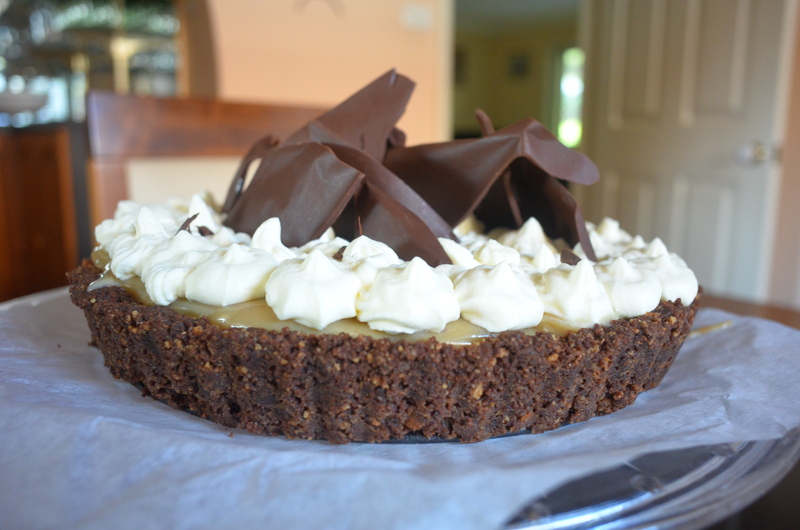 It would be so tasty with some chocolate mousse between the caramel layers too! That’s for sure the right food to start the new year, Uru. That’s a delicious way to start a new year and pamper oneself! Have a great one Guru Uru!